After a wonderful four weeks with the MantaWatch Internship Program, we have reached the final day of our journey. Looking back, we have achieved so many things during this program: long hours in the classroom, dive training and field surveys, meeting new people, and not to mention our many deadlines! At times it has been exhausting, but we’ve always worked with happiness, and we’ve learned so many things. Where it all began! The MIP-2016 interns arrive in Komodo. Today started early, and by 6.30 wee were already in the classroom to complete our final evaluations. Miko was first, and we as mentors began by asking him what he thought could be improved for next year internship program. Then we compared his personal evaluation with an evaluation by the mentors. After one hour, we finished Miko’s evaluation and its time for Retno. This was a good experience for me, as I am not used to evaluating others. But I believe this is an important feedback process for the interns and the mentors. After we had finished all the evaluations, we still had several hours before our flight. Some of us want shopping amongst the small stores in Labuan Bajo searching for souvenirs of our time here. Vidlia departed first, as she is travelling to Jogjakarta. The rest of us are going to Jakarta, and we are all on the same flight. We said our goodbyes at Jakarta airport, and go our separate ways. After being together for four weeks this is a very sad moment, and I am going to miss them all. But I believe this is not the end. It is the beginning of something new! 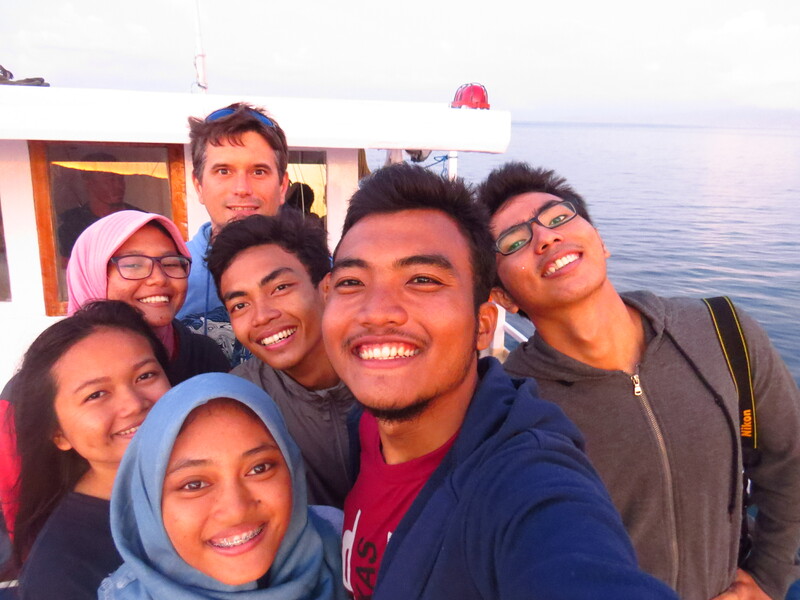 We have all gained new experiences and knowledge during the four weeks of the 2016 MantaWatch Internship Program. We’ve made new friends, and this year’s interns are ready to pursue new goals. For me, the MantaWatch Internship Program literally changed my life. This year’s interns are beginning a new adventure as MantaWatch Alumni and marine conservation ambassadors.